ELGL is fielding a bocce ball team at TLG! Join us for an evening of sport at Bundox Bocce, Northern Nevada’s only indoor/outdoor bocce event space. 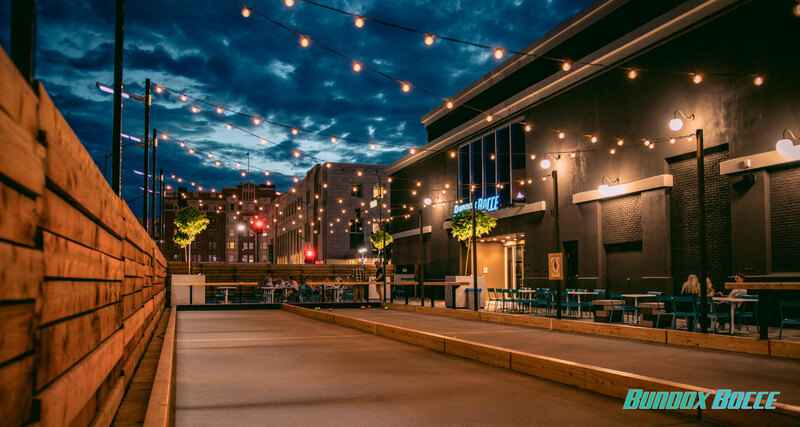 Located in what was once the casino floor, Bundox Bocce is a 22,000-square-foot indoor/outdoor facility complete with seven indoor bocce courts, two regulation length outdoor bocce courts, nine skee-ball machines, a shuffleboard table, ping pong, dart boards and full bar with unique menu items. For those new to the sport, which originated in Europe and has amounted a loyal following state-side, simplicity is key. Two teams of one to six people can play on a court at one time with a bocce set consisting of eight large balls and one smaller target ball called the pallino. The team with the most balls closest to the pallino scores, with one point awarded for every ball the scoring team has closer than the opposing team. The game continues until 12 points, or a pre-determined amount, is reached. Bundox Bocce can accommodate 72 players at once. Cost: $35.00 during early registration, $40 during regular registration and onsite.